Moorings were laid off Avoch and Kessock for the minelayers. 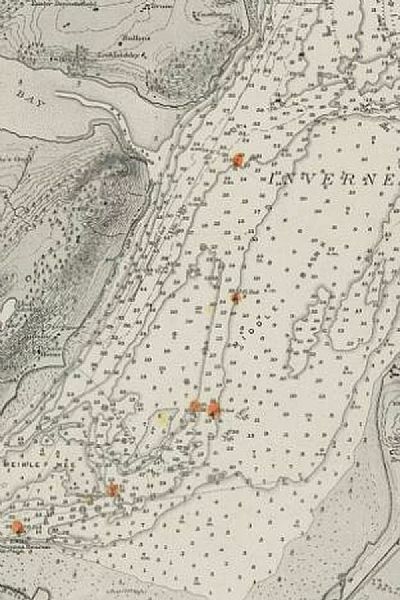 A channel was dredged ('the Yankee Channel') to allow large ships to approach Inverness. A signal station was built at Castleton, west of Avoch, mirroring signals at Fort George. An anti-submarine boom was constructed in Inverness, then stretched between Fort George and north of Rosemarkie, with two gates to control shipping access. Searchlights and a gun emplacement were placed on Chanonry Ness. Men were billeted in the Black Isle Combination Poorhouse at Fortrose, sharing quarters with the Highland Cyclist Battalion and poorhouse inmates. The U.S. Navy used 10 minelayers with 4,047 crew capable of laying 5,834 mines in a single excursion. In addition there were 1,000 men assembling mines at each base. 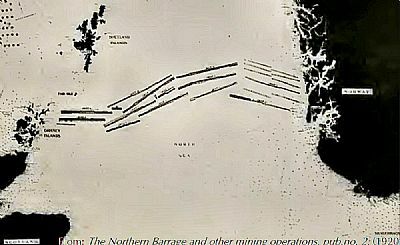 By the end of October 70,117 mines were laid along 230 miles, 56,571 by the U.S. Navy and the rest by the Royal Navy. The U.S. claimed four U-boats were sunk, with two more 'probables'; Germany admitted three were lost. This Admiralty Chart updated in 1918 specifically for the Mine Laying Squadron, shows the lit 'Yankee' channel, long since silted-up.